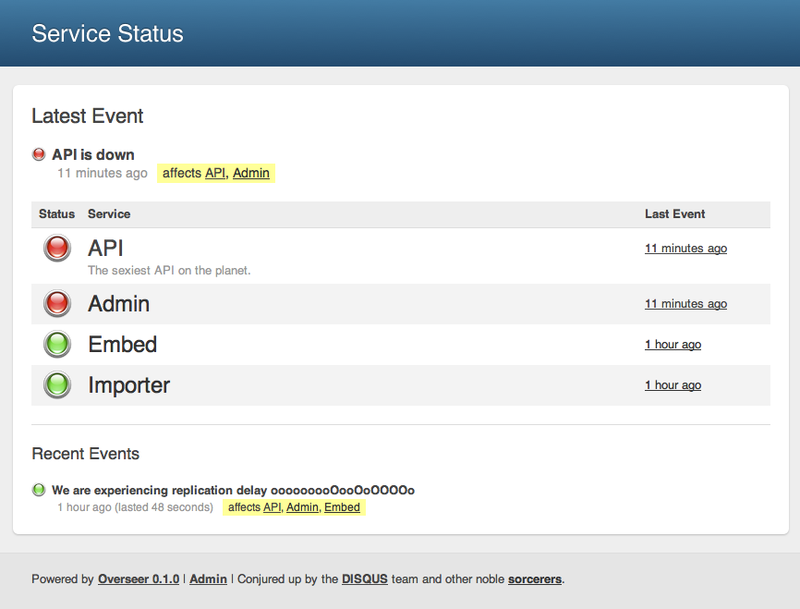 Disqus, the world’s largest Django application has released a ready-to-go status board application for Django. Suitable for both internal and external use, it can be run within your existing project or as a standalone application. Other Python goodies from Disqus include a Python Tools TextMate Bundle and a solid Disqus API wrapper. Overseer has been released under the Apache License, v2, so feel free to use it in your proprietary applications!